No preparation required, easy usage regardless of staff skill level. Right mix of tomatoes, herb and spices. Made with 100% real & natural tomatoes. Versatile usage in a wide variety of applications thus reducing the number of products chefs need to purchase for their Italian cuisine. Consistent quality and taste every time. Sauce made with right mix of tomatoes, herb & spices, vinegar, fried onion & garlic to deliver same quality taste in variety of applications including tomato base for pizzas, pasta & lasagna. 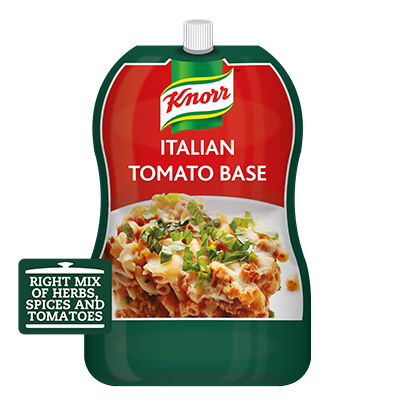 Ideal for preparing Pizzas, Pastas and Lasagne. Use as a dip/cooking base. Store in a cool and dry place, away from direct sunlight. Refrigerate after opening. Use pastry brush when applying sauce on pizza for even spreading.